This is an Investor's dream!! This wonderful parcel comes with two buildings that total over 7000 sq ft. The Lot size is .495 ac with gravel parking . The front building, has been mixed uses for Office/apartment Rental. This area is 2744 SF with two Stories. Second story was used as an apartment with a full kitchen and full bathroom. The office area is on the first floor with numerous rooms and bathroom. 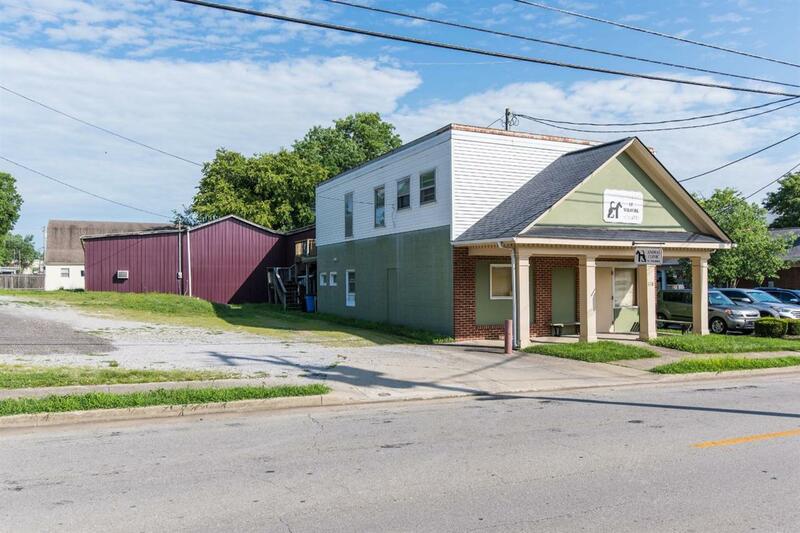 The second building is a Warehouse with 4558 Sf with two office rooms, bathroom, and two working garage doors. Lots of Storage space! This is a property with endless potential! Bring your innovated and investor spirit and SCHEDULE A SHOWING! Listing provided courtesy of Byron Hensley of Bluegrass Property Exchange, Inc.. Listing information © 2019 LBAR Multiple Listing Service. All rights reserved.